Lock services in Easton, Bethlehem, and Allentown, provided by LockTech24/7 are one step ahead locksmith services, compared to our competitors. We are 24-hour professional locksmiths in the Lehigh Valley, covering all kind of locks issues. Not only we can help you whether you own a house or a business, but also with all types of locks on the market today. Our locksmiths are the pros to call when an issue arises with your lock. When we need to repair a lock in an emergency, we’ll be there within 20 minutes to address the problem. In addition to emergency locks services, we also provide schedule service by appointment. With a focus on your convenience, we are available any time you need us, day or night. Lock re-key service is usually required when The existing locks on your door work properly, and you want to change the key. Re-keying lock is cheaper than replacing the entire lock system. After re-keying your lock, the old key will no longer operate your lock. In order to change the key of your lock, we change the combination of the pins inside the cylinder. Every key has different cuts, and this is what we match, pins to cuts. You shouldn’t fear that after re-keying your locks, the old key will still work, it simply won’t! Call us when you want to re-key existing locks on your property, fast service is our goal, and low price is your benefit. Professional locksmith rekey service is only one phone call away. From time to time, a problem with your lock can occur, and it can just be enough to ruin your day. In the case of a broken lock, especially when you can’t unlock your door, you may need a professional locksmith help. This is true locks are used from iron and steel, yet, also steel can break. Also, deadbolt can break, especially because it combined with small springs and pins. Call our locksmith if you have a malfunctioned lock that gives you hard time on a daily basis. We can repair any lock, change broken parts, or just maintain it, so it works like new, once again. In some cases, when your lock is beyond repair, we can simply replace it with a new lock. In this case, we also give you three months warranty. When you wish for better security to your home or your office, it recommended to replace your locks to better ones, A professional mobile locksmith carries in his van a variety of locks from all kinds. So we are! Replacing locks done by LockTech24/7 can assure you fast, reliable, and professional locksmith service. It’s important to remember, if you’ve installed lock improperly, it won’t protect you. Either a commercial lock or a residential lock, we can replace any lock on your property. Broken Lock Repair – When the lock on your door breaks off without an early sign, you may need an emergency locksmith to unlock your door. Lost Or Stolen Key – This is a serious emergency issue because someone can find or gram your key in order to use it later. In this case, you must re-key the locks, as soon as possible. Broken Key Extraction – When you want to unlock your door and suddenly the key break off inside the lock. In this case, only emergency locksmith extract the key and open your door. Electronic Locks – Electronic devices can fail from time to time. One of the most common reason is that the batteries died. In this case, there is no power supply for the keypad. The only way to open your door is to pick the lock. When you call a locksmith professional to service the lock on your doors, you can rest assured the job done right. A lock that doesn’t installed properly won’t protect you. Therefore, it always recommended calling a locksmith to deal with your locks. It doesn’t really matter what type of lock you need, we can handle them all. It also no matter if you need a service to residential lock or commercial lock. 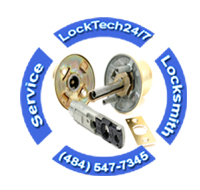 Lock Services at LockTech24/7 is a one-stop shop for all your lock and key needs. Any time you concern about security and safety, you may call us to address the problem. In the final analysis, it is cheaper to call a locksmith than deal with burglary and all the damage involves when somebody breaks into your house or your business. LockTech24/7 professional lock experts are waiting for your call. 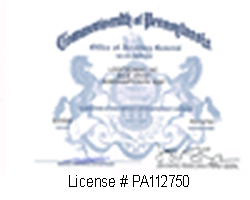 We proud to assist customers in Allentown, Bethlehem, and Easton on a daily basis. In the light of professionalism, why let your maintenance company deal with your locks? Why trust unprofessional to deal with your security? We are here, 24 hours a day, 7 days a week for any kind of lock service, you may need. Local lock services which servicing you at your home or your business is the best way to solve your lock and key problems. As you can find our online reputation of 5-star reviews all over the internet, you may be sure that you’re dealing with the best local locksmith company in the Lehigh Valley, PA. Please call us now and receive 10% off with your next purchase.